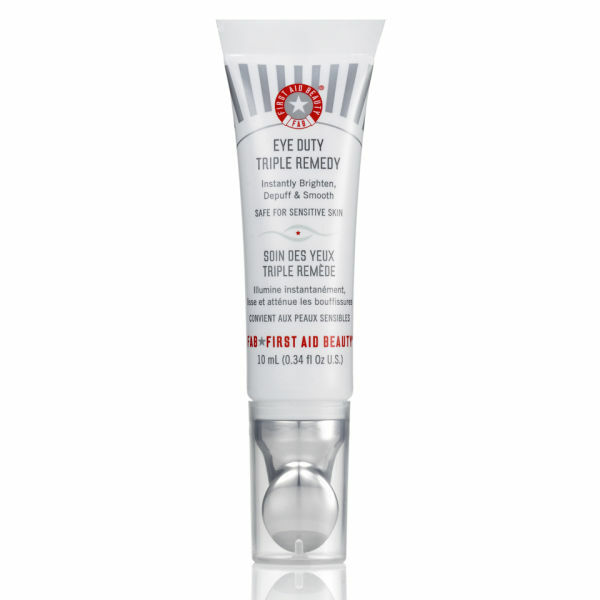 Give your eyes the treat they deserve with the First Aid Beauty Eye Duty Triple Remedy (10ml). 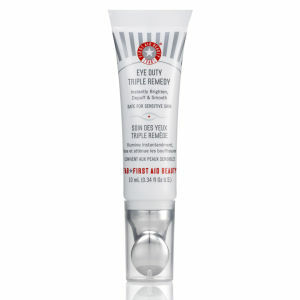 The unique formula will immediately set to work reducing the appearance of dark rings and delivering a range of anti-aging effects. For precise blending, a stainless steel applicator comes with the remedy; use the wand to smooth it onto your skin without tugging. You'll soon see how the light reflecting particles noticeably bring the area around the eye to life, brightening and smoothing with a subtle tint. The combination of caffeine, coralline extract and liquorice root ensure that with prolonged use, age-related lines and puffiness will be diminished.